All Facials include double cleansing, exfoliation, followed by extractions (as needed), face and décolleté massage and rejuvenating mask, all customized tailored to your unique skin needs and skin type. All skin types - A relaxing treatment leaving your skin feeling smooth and refreshed with a healthy glow. All skin types - A revitalizing treatment if you are on the go, uniquely designed to give maximum results in minimum time. Perfect to add on to your massage. Oily and acne-prone skin - Designed to treat acne preventively and immediately by focusing on restoring the skin health. The uses of antibacterial and anti-inflammatory ingredients and a special mask will bring back your skin balance. For those with Rosacea and sensitive skin - Light therapy will help minimize flushing and reduce the appearance of blood vessels while encouraging a healthy, even skin tone. For your back - Perfect if you are having skin challenges on your back or for a special occasion. Includes back massage. Facial and Massage combination - Get both treatments in one for the ultimate relaxation. This 90 min. treatment will include a massage and a non-extraction facial. 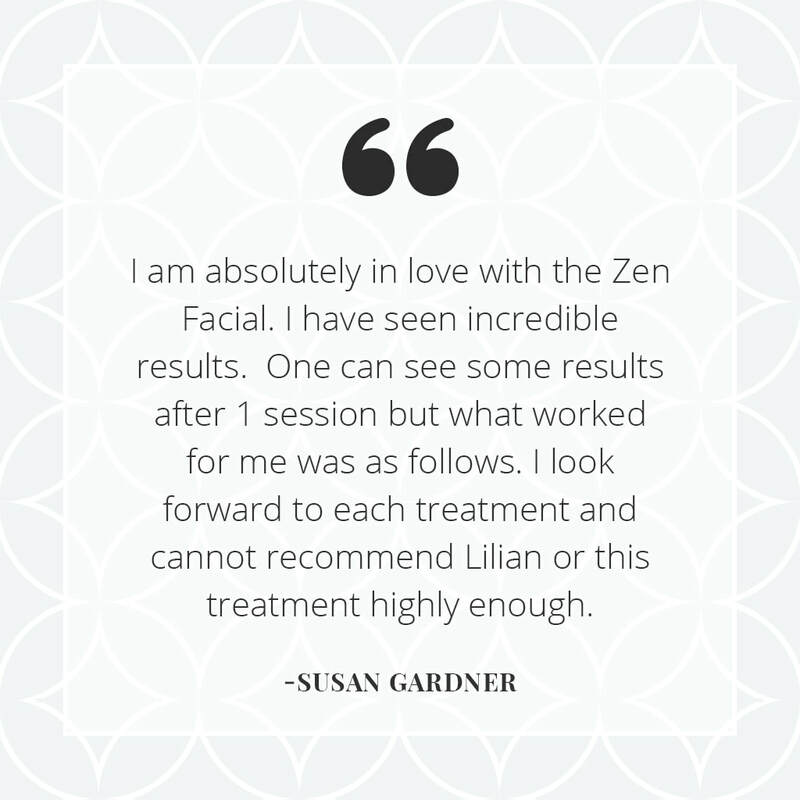 Can be added to any facial for more visible long-lasting results. Skin resurfacing treatment that stimulates the growth of new skin, for even firmer and younger looking skin. Works to improve wrinkles, age spots, and acne. Ultrasonic vibration to gently exfoliate and stimulate the production of collagen and elastin. "Love, love, love Lilian and Illumina Skin Care. I felt so cared for by her. She spent so much time with me, learning about my skin and then tailoring my facial to just what I needed. She is gentle, knowledgeable, so kind, professional and simply wonderful at what she does. My skin looks amazing! I will never go anywhere else." "Lilian is a 'top notch' professional. She was very attuned to my sensitive skin and went the extra mile to make the extraction process more comfortable. The atmosphere is calming and relaxing. Lilian is also a sweet person who really cares about the client's experience. I will book more facials with her in the future."